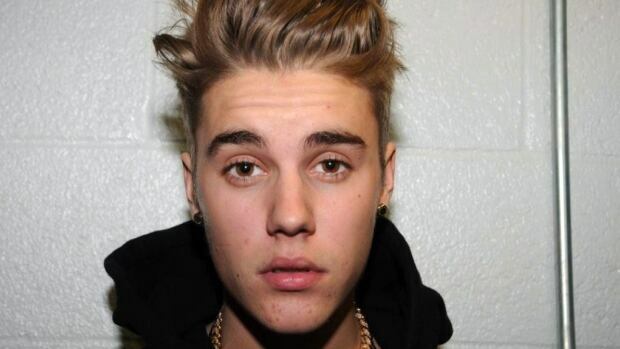 Justin Bieber is under police investigation again for robbery, and you can't help but feel a bit concerned for him. Here is a kid who was given huge amount of fame and money at a very young age and apparently was unable to figure out how to deal with it. The media loves a good downfall story. Heck, they are still fixated on Lindsay Lohan's various shenanigans. We as a society are somehow captivated by the story of the train wreck celebrity who lives fast and dies young. We are fascinated with seeing those on top take a tumble. We rubbed our hands together with glee as the squeaky clean Tiger Woods was revealed to be a nymphomaniac and serial cheater. We giggled at the jokes about Britney Spears' breakdown. We were engulfed by stories about Amy Winehouse's antics with her husband and troubles with alcohol and drugs before her tragic death. Where does this sort of masochistic sentiment originate? What does it say about us? Certainly there has always been an interest in celebrity and with the invent of cheap high speed internet, reality TV, and social media we can watch them self destruct in real time for our entertainment. It is a difficult time to be in the public eye, where everything you write on twitter will be permanent and public, and any stupid remark you make in an interview will make the rounds on social media where the masses of the public will be the judge and jury on whether or not you will be forgiven. When individuals can respond so quickly to any development it is harder to cover up scandals and easier to spread rumors. Someone like Justin Bieber seems to have some issues but how much of that is caused by the modern implications of fame? Is he a product of the self fulfilling prophecy? Does the public play a role in this sort of thing? What about the people who encouraged Amy Winehouse to drink while she performed? Do we knowingly enjoy watching self destruction to the point that we try to make it happen? Do we encourage bad behavior by publicizing it so much? Justin Bieber is an attention seeker, and perhaps he uses the knowledge that getting into trouble will get him on the front page to achieve personal satisfaction. One has to wonder why while we aspire to be among the rich and famous we at the same time loath them and wish to watch their destruction. I suspect it has more to do with ourselves than the celebrities we watch.